7:30 am: Hot air balloons, launched from along the parade route. 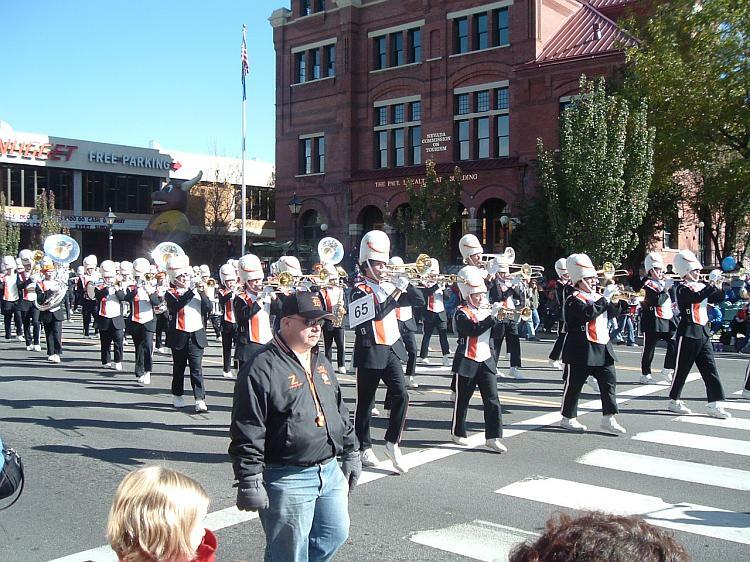 10:00-12:00 pm: The Nevada Day parade runs along Carson Street from Hwy 50 to Stewart Street. The parade will kick off with a fly-over by a C-130 cargo plane, and at the front of the pack will be historic V&T locomotive #22, The Inyo. Noon: Nevada Day beard contest on the Capitol front steps. Noon: The Carnival in Mills Park opens. Also open Thursday, Friday and Sunday. 9:15 pm: Fireworks at Silver Oak Golf Course. Silver Oak is at the north end of town, behind the Albertson’s on College Parkway. Nevada Day’s official (and absolutely horrible) website is at www.nevadaday.com. They have a full lineup of every entry in the parade. The Nevada Appeal also has an in-depth program describing everything that’s happening on Saturday. If any of you readers out there are going to be at the parade, or any of the other events, don’t be afraid to come back to Around Carson and post pictures and stories. We all want to hear what you did on Nevada Day! Don’t let me down. And if you’re lucky enough to work somewhere that gives you the Friday holiday off, enjoy your three-day weekend.